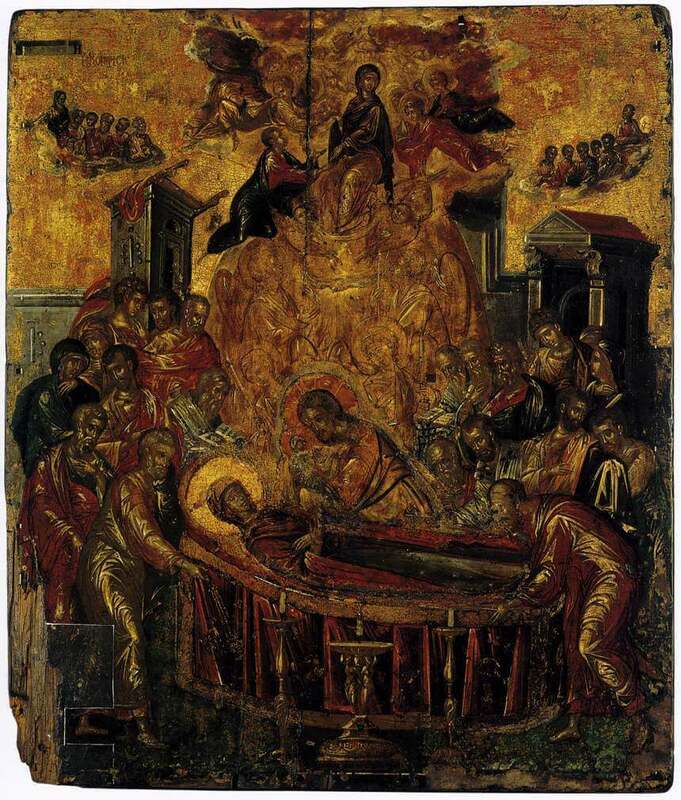 Dormition of the Virgin was painted sometime before 1567 by El Greco This painting was one of his early works of Post-Byzantine Art. Byzantine art was produced in the Middle Ages, in the Byzantine Empire, and the art was almost entirely centered on religious themes and church theology, translated into an artistic form. 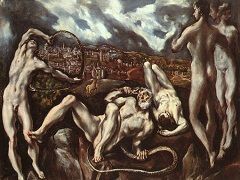 In this painting, El Greco combined Italian Mannerist, and post-Byzantine styles and iconographic elements. 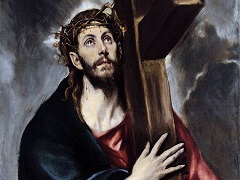 It was not known that El Greco painted Dormition of the Virgin, until 1983, when curators discovered his signature at the base of the candelabrum, located at the bottom, center of the painting. 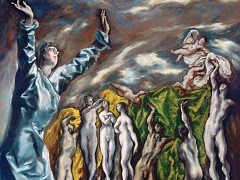 Because El Greco always signed his works with his Greek name of Domenikos Theotokopoulos, this led to the discovery of other paintings which he had produced. 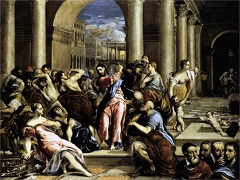 The theme of this painting is from the New Testament. The Virgin Mary is the central focal figure, lying dormant, sleeping peacefully, until her soul and body are reunited and taken to Heaven. The composition's vertical approach can be seen, and is formed by Christ's figure above Mary. 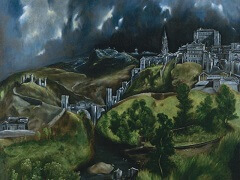 The two Apostles at either end create the horizon, and another horizontal plane becomes evident by the groups of bishops and Apostles above. 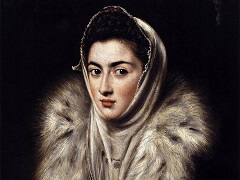 El Greco used warm, gold tones, which showed the Italian influences in his early art. The golden tones are interrupted by the red, shimmering garments. The brightest color in this painting is used in the halo surrounding the Virgin Mary's head. Lighter colors are also used in a cloud-like formation of angels, showing the ascension of Mary's united body and soul into Heaven. The darker colors highlighted with gold tones, make the figures almost statuesque-looking. 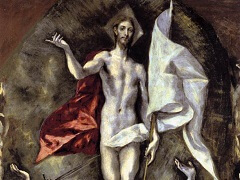 El Greco's Dormition painting is 61.4 x 45 cm, and is painted with gold accents and tempera on a wooden panel. 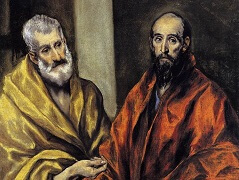 The wooden panel indicates that this may have been a series of continuing paintings of this theme by El Greco. 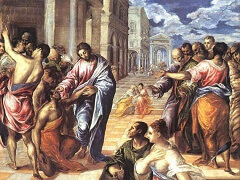 This painting is displayed in Ermoupolis, Greece at a Cathedral.